 Thank you for your interest in an internship at Center for Inquiry Michigan. See below for current internship openings and how to apply. CFI’s mission is “To foster a secular society based on science, reason, freedom of inquiry, and humanist values.” We do not discriminate on religion or any other status, but since CFI Michigan is a secular community group for individuals who are not religious, actively promoting our mission is essential to all of our internships, and interns must be comfortable communicating the mission of CFI. All internships are unpaid and on-site: applicants must live within driving distance of our office in Grand Rapids, MI. Enrollment in a degree program is not required. Custom Internships: CFI Michigan is willing to structure a customized internship for interested students to meet their program requirements, even if no internship openings are posted. To inquire about a custom internship please send: letter of interest and resume to the email address below. We will contact you once we assess if we can facilitate an internship that meets your internship goals/requirements, and our current program needs. A letter of interest outlining: your internship goals, program requirements, why you are interested in an an internship at CFI Michigan, and a statement verifying you are comfortable communicating the mission of CFI. Applicants may also submit samples of graphic design, web development, photography or videography work (if applicable). Any additional materials requested for specific internships – see descriptions above for details. Submit application by Email to michigan@centerforinquiry.org. Contact Jennifer Beahan, Program Director, by email or call 616-706-2029.